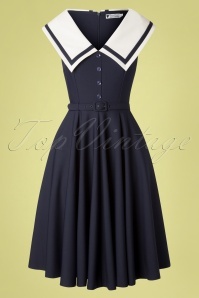 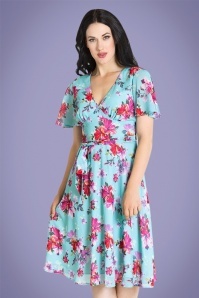 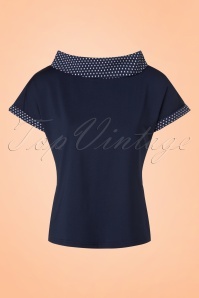 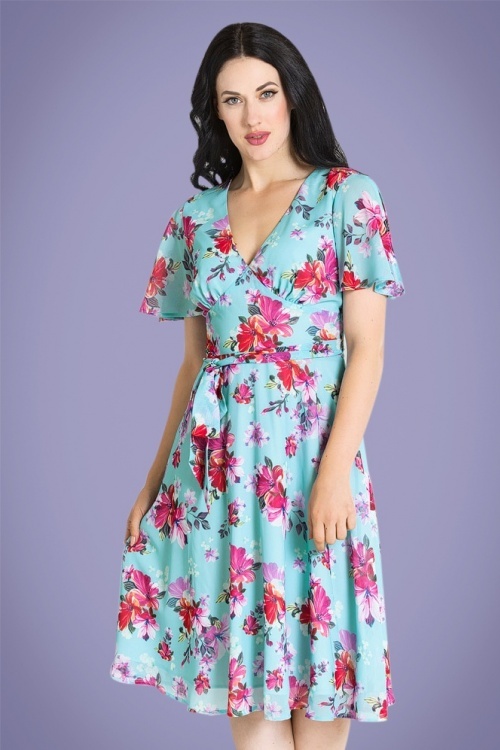 Get ready to fall in love with this 50s Primavera Floral Dress in Blue! 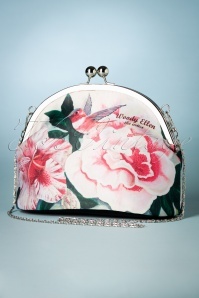 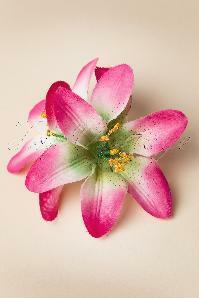 We simply can't get enough of flowers. 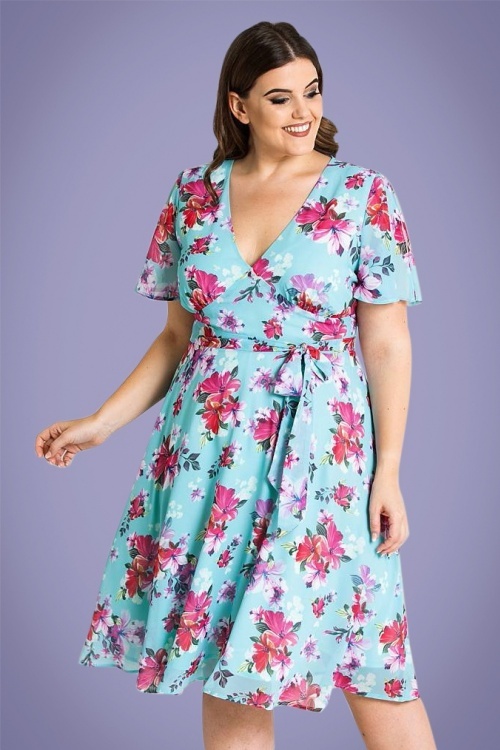 This stunner is covered in them, so it's easy to see why she makes us totally happy ;-) She features a V-neckline, short butterfly sleeves and a tie belt that accentuates your waist perfectly. 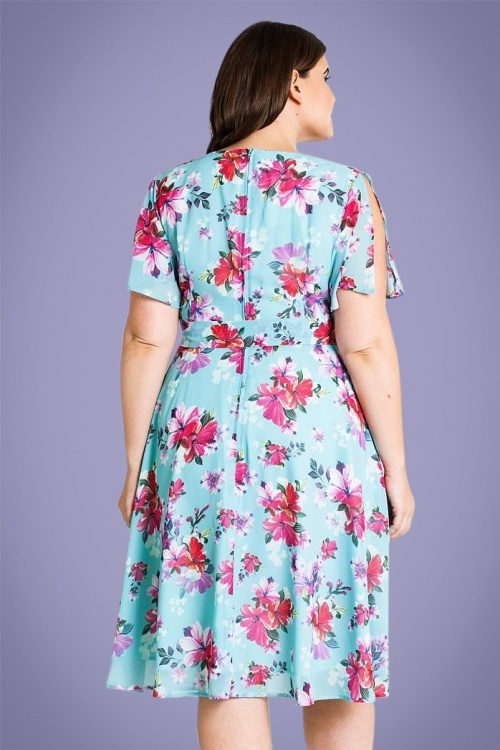 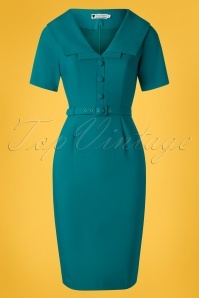 Made of a supple and breezy, light blue fabric (doesn't stretch) that is a joy to wear. 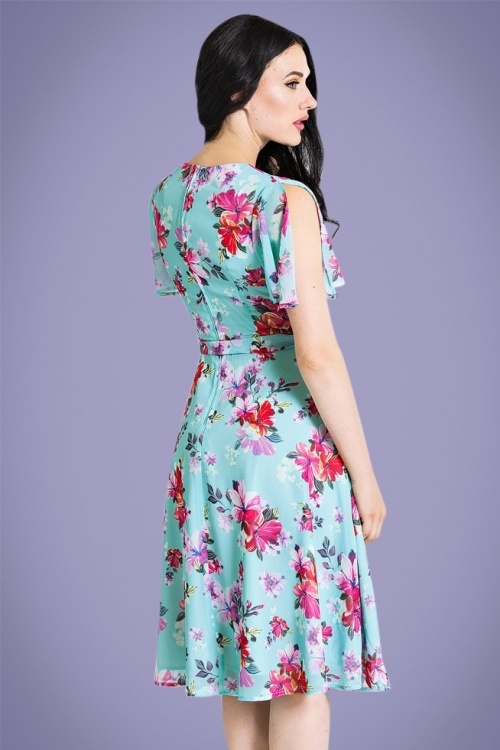 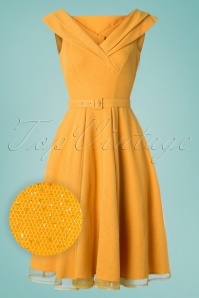 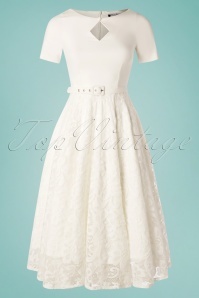 Whether the sun is out or not, every day is a perfect day for a dress like this one!